Have you found an online vendor selling Bundaberg Overproof? After traveling Australia for a long time I wanted to do what I've missed down under: To try Bundaberg. We'll I wanted to do it the proper way so I got the Overproof. When I tried it with friends it froze everyones smile. The smell is straight: Desinfactant. The taste is also. Not even notes of drinking alkohol or glue, just desinfactant. Very much the Bundy flavour, but too strong flavour to drink neat for me. But in a mix; yes please! Had this on a party, to strong to harsh not something i would buy for a nice drink. You'll know when someone is drinking OP Bundy because you can smell it across the room. Sort of ok drinking with coke and lots of ice. It's headache material. Soapy, ethanol, harsh, sandy. 91 octane smells better. This was pretty rough and was not being sold as a mixer. Perhaps if one was inclined to do shots. This is one rum you don't need to drink. Just a whiff it in your mate's coke from across the room will be enough to kill vast quantities of your brain cells. Tastes worse than it smells and that's saying something. I enjoy Bundy OP with coke & ice. But not a sipper. Dark colour, strong nose- not sweet. May lack sophistication but my cabinet always has one for that relaxing drink at the end of a tough week. 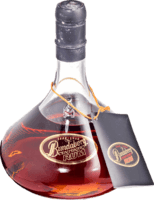 This rum is a great rum by itself or in a mix. I find it has a more Carmel flavour than most in its price range and isn’t masked by a abundance of a vanilla or banana overtones. 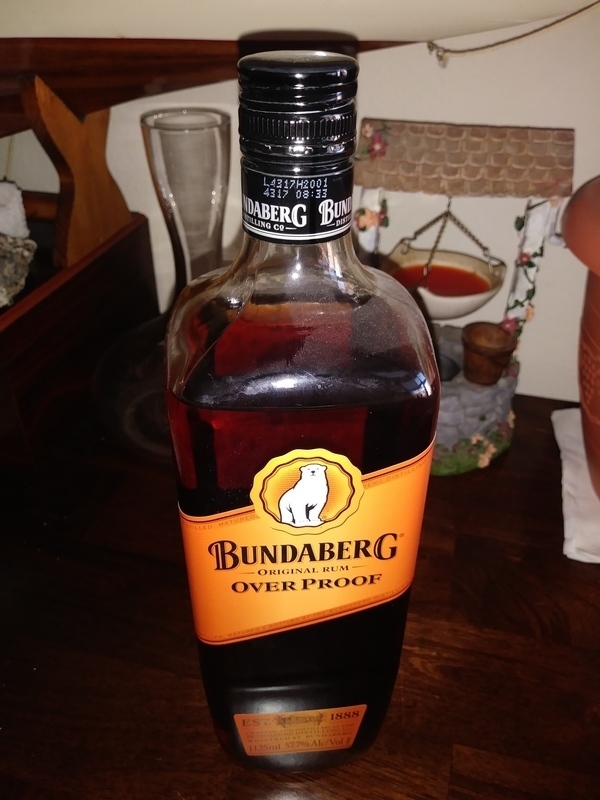 I had an amazing opportunity to try a dozen different unopened Bundaberg's with my Aussie colleague last year and the Overproof Bundy is decent with coke, but as a neat sipper is very strong, so keep this as a mixer rum. I had heard not so great things about Bundaberg rum, but when I saw this dark rum on a flight to Australia I figured I needed to try it. I actually asked for it straight, but I guess out of habit the flight attendant gave me coke with it. Guess that was a tip off about the quality. Had a few sips of it straight and while it's certainly palatable, it's pretty one-note flavor wise and has a somewhat harsh finish. Definitely not a sipper. Coke mellowed it a bit, but still not something I'll go out of my way to try again. When in Australia though. Wonderful smell in glass, but because of alcohol volume is taste stronger. Similar taste to Czech plum brandy.i would say, ron is perfect to drink when the weather on the pirate ship is heavily stormy. Richer colour then standard UP, is a great mixer maybe a bit harsh neat or on the rocks. En bekendt havde denne rom med hjem efter en tur down under, hvor hun bl.a. arbejdede som bartender. Rommen er sikker god nok som rom i mixed drinks, men den egner sig ikke som Straight up. Den er dog ikke så skarp som man havde kunne forvente efter duften, men den har ingen krop eller smagsnoter. Stand back and don't be holding anything that might suddenly ignite! This is strong stuff and can only be drunk when diluted with something less flammable! J'avais envie de voir si ce rhum était vraiment aussi mauvais que ce que l'on m'avait dit. Hé bien je n'ai pas été déçu. Nez sur le désinfectant d'hôpital et l'éthanol. En bouche un mélange d'iso-betadine et ce goût rappelant inexorablement l'hôpital ce qui ne fait que renforcer le dégoût. J'ai essayé avec du coca mais rien à faire ce rhum est vraiment un drame du début jusque'à la fin. Je suis convaincu que les Australiens doivent avoir de très bon produits de consommation mais en tous cas le rhum n'en fait pas partie. Bundaberg rums are hard to find in the US, but 6 years ago some Aussie's that were friends with a mutual friend brought a bottle from down under. I remember it being surprisingly smooth for the high proof and having a very unique taste- akin to a musky winter spice mix. From what I've read about these rums in my quest to procure a bottle, I'm sure that a second tasting would find me singing a different tune, but what I do remember of that hazy college evening was a unique rum and a very good time. I was unsure if I liked this or not when I first tried it over a year ago. It was strong, as you'd expect, & unlike any other rum I'd tried, (which wasn't that many) but now coming back to it again...just reread the first part. I'm still not sure. Lol. As nasty as the normal one but stronger, so nastier. This is as close to whiskey as a rum can get. It will light a fire under your seat and kick you in teeth on the way down. Just tried some unopened, that my father-in-law brought stateside back in '89....I can't imagine the kick it had before time smoothed it out.